I have had a project complete this two weeks and I was just awaiting my best friend Lucie’s birthday to arrive ! This is the short version of the Twisted Drop Stitch Cowl. You may remember I knit the longer version a couple of weeks back for my Aunt. I have to say I think I like this short version better. I’ve knit this with Rowan Big Wool in a pink/mauve colour. Pink being Lucies absolute all time favourite colour lol. It was knit on 10mm needles. 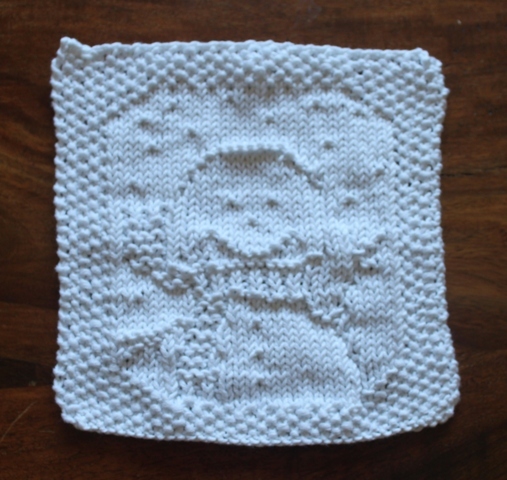 I also finished off the Snowbaby Cloth I was knitting last week. This is knit in King Cole’s Bamboo Cotton yarn and knit on 3.5 mm needles to give a tighter gauge and help the picture stand out better. It needs a light steam blocking and then it is ready to be gifted. This is part of some Christmas presents I’ve started on. For today’s post I’m checking in with Tami’s meme. This entry was posted in Finished object, Knitting and tagged Snowbaby Cloth, Twisted Drop Stitch Cowl.. Bookmark the permalink. Congrats on 2 great finishes Ruth. 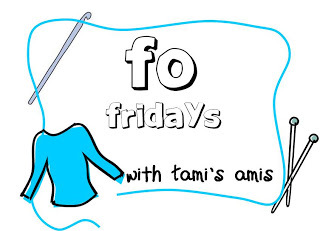 Terrific FOs, Ruth! I really like the mauve color and what a hug that is for Lucille’s neck. The dish/washcloth is cute.